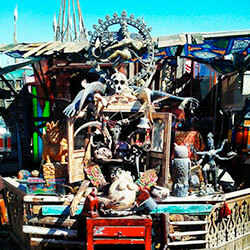 In the aftermath of the December 2, 2016 tragedy that destroyed the “Ghost Ship” club in Oakland, CA, claiming at least 36 victims, sad truths have now emerged that few people are aware of. The heartbreaking building fire, which was one of the deadliest in U.S. history, took place during what was to be an all night rave party. 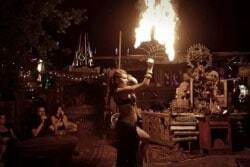 Raves typically employ hypnotic and psychedelic House music, hallucinogens like Ecstasy, and lots of alcohol. The once abandoned and dilapidated warehouse (which was in serious violation of a number of safety codes, including zero fire alarms and ceiling sprinklers) was a death trap waiting to spring on its victims. 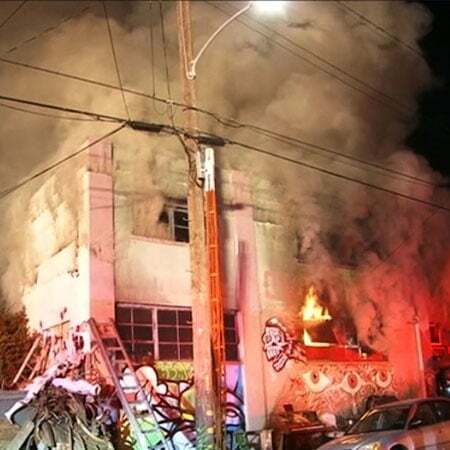 Many former employees claimed that Derick Ion Almena, the owner of the Ghost Ship and who ran the occult art commune, “laughed off” warnings from police and fire officials about the fire hazard the building posed. 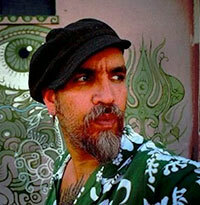 Oakland’s Planning and Building Department reportedly stated that Almena also failed to get the special permit necessary for the deadly December 2, 2016 rave. “Rather, the sacrifices of pagans are offered to demons, not to God. And I do not want you to be participants with demons” (1 Corinthians 10:20, Deuteronomy 32:17, Psalm 106:37). Another sad truth is that the fiery blaze broke out while the headlining band, Golden Donna, was preparing to perform. 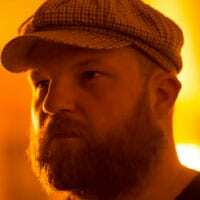 Golden Donna is the stage name for the Wisconsin based DJ and producer, Joel Shanahan. Some of you who have studied the occult have probably already thought, “That name seems a bit suspicious.” Indeed it is. Golden Donna sounds a lot like the occult group that Satanist Aleister Crowley once belonged to, the Hermetic Order of the Golden Dawn (or the Golden Dawn for short). 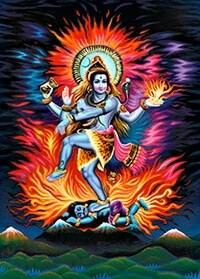 While very few people are aware that the club that burned to the ground in Oakland, CA was to be headlined that frightful night by a band glorifying Satanist Aleister Crowley, many are also unaware that the nearly 90 people killed in the terrorist attack at the Bataclan Theatre in Paris, France were also being immersed in satanically-inspired music. Just as they began to praise Satan to this song, they got their chance to “kiss the devil” when he came in the face of militant Islam, which is defined biblically as the spirit of Antichrist (1 John 2:22; 4:1-4). The terrorists not only gunned down nearly 90 people with automatic weapons, but they used explosive vests with the incredibly volatile TATP (Triacetone Triperoxide), which is also known as the “Mother of Satan”. 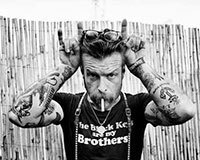 While the Eagles of Death Metal band members temporarily escaped death, many of their fans tragically perished in a hail of bullets. May the Lord richly bless you as you seek His Face and live for His glory!